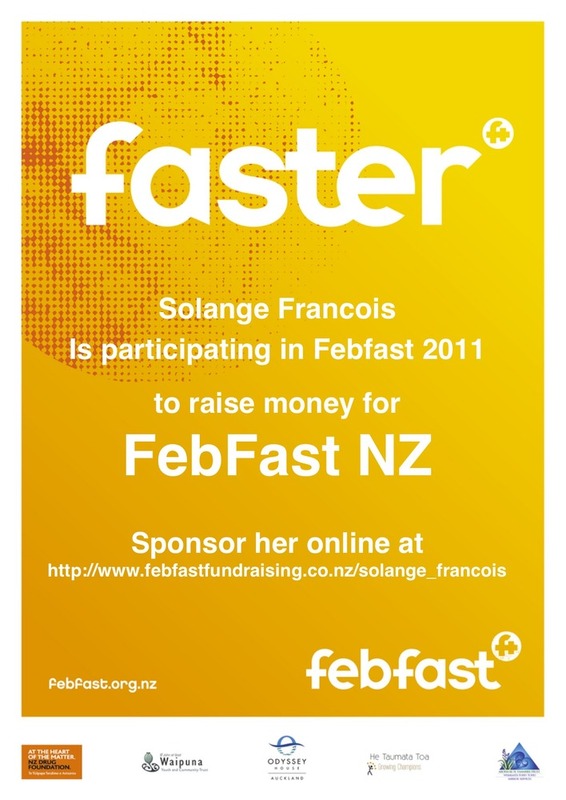 A few days ago I found out about FebFast – a fundraising program in NZ and Australia during the month of February to raise funds for organisations that support and help young people who suffer from alcohol and/or drug dependency or abuse. This year will mark its fourth year in Australia, and its first year in NZ. Growing Champions was set up by the Consultancy Advocacy Research Trust, an organisation that works with low-income Wellington families to provide young people aged 4-17 free access to a sports club, gym, swimming lessons and holiday programmes. Mirror Services provides counseling for kids and young people from the greater Dunedin area who are affected by their own or someone else’s alcohol and/or drug use. It also provides a drug and alcohol programme for 13-17 year-olds from the Otago and Southland region. Amplify! is a school-based intervention programme that uses techniques such as song-writing, dance and text messaging to help participants reach their goals. It is currently running in eight Auckland secondary schools. This programme is run by the Waipuna Trust and is a Christchurch outdoor adventure programme to develop young people by integrating outdoor activities with group and individual sessions. I’ve had first hand exposure to what drugs and alcohol can do to people who become caught up in the cycle. More than a couple of my friends have been admitted to Auckland’s Odyssey House, and more than a couple of my friends have been stuck in very dark places for a good chunk of their late teens or early 20s. Many people can limit themselves to a few drinks and occasionally take part in other recreational activities, but there are people who through no fault of their own become reliant on these outlets, or are hurt as a result of other peoples’ reliance. I have paid $25 to register for FebFast and basically, I can’t drink any alcohol for the month of February unless I buy a TimeOut certificate ($25 each time) if I have any special events that I want to drink at. As much as this is a fundraising activity it is also a good self-challenge and a way to have a healthier month. You can support me with a small donation – I am suggesting $20 or $25 but if this is not convenient for you, an idea is the value of one drink that you’ll forego yourself in February. A beer? $7. A glass of wine? $9. Anything helps and in addition to being an encouragement to me it will be put to good use by the above organisations. My fundraising page is here.